Can I Get a Yoga Certification Online? Mike McLaughlin has been writing news, entertainment and sports articles since 1990. McLaughlin has written for “The Maine Campus,” “The Bangor Daily News" and various websites. McLaughlin is also a martial arts instructor and certified personal trainer. He has a bachelor's degree in journalism and an associate degree in filmmaking. Yoga techniques date back thousands of years. This ancient practice can reduce stress and increase strength and flexibility. Yoga can also help you earn some money. Today, classes are taught at studios, gyms and colleges around the world. If you want to become a yoga instructor, you can get certified at a studio or through an online program. Two examples of online yoga certifications are the Aura and CorePower programs. The Aura Wellness Center offers “The Original Yoga Teacher Training Camp-in-a-Box.” This 240-hour course includes books, DVDs and CDs that help you learn about performing yoga techniques, teaching yoga and starting your own business. Online students test via the Internet or mail after completing the course. The CorePower Yoga certification program also offers video, audio and written training materials. This program is not as extensive as the Aura program, but it can train you to become a nationally recognized CorePower Yoga instructor. Onsite instructor training at a yoga studio can cost thousands of dollars. The Aura Wellness Center and CorePower basic online programs each cost about $500 as of 2011. Both of these programs allow you to upgrade your training materials for an additional cost. While you can find less-expensive options on the Internet, some of these certifications may not be recognized by yoga studios. An online yoga certification gives you the advantage of training on your own schedule and in the comfort of your own home. You don’t need to spend time or gas money traveling to a class. An online course also gives you the advantage of being able to watch material as many times as you want. If you don’t understand a technique, you can replay it on your television. The ability to set your own yoga training schedule is not always a good thing. Work or family obligations can interrupt your at-home yoga training. An online course requires you to discipline yourself to stick with it. Another disadvantage is that a certified yoga instructor is not there to personally critique your techniques and if you incorrectly perform yoga moves, you can injure yourself. 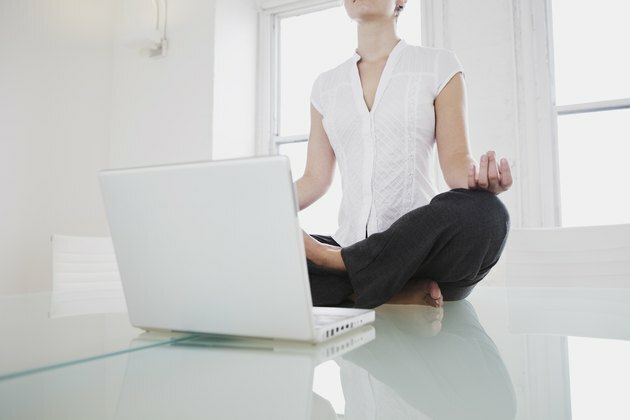 Additional research can help you make a decision about investing in an online yoga program. For example, research the various styles of yoga and determine which style most interests you. Call local yoga studios and gyms and ask about the certifications they require of their instructors. There's no use spending good money only to realize that your certification is not recognized. Many yoga studios will only hire instructors who belong to the Yoga Alliance. The YA is a non-profit group who maintains a registry of instructors who have completed a 200 and 500 yoga teacher-training program. This group has no legal sway over yoga instructors, but some believe that to be a member holds weight.